EVERYTHING on your page affects your ranking with Google. It’s mostly about your text however. The words contained within your titles and the body of your web pages tell Google what your website is about. The truth is, Google wants to place everybody on the first page, but they need to place you in the correct category first. Google needs to know exactly what your site is about, and how it is different from every other site that might cover similar topics. Google loves descriptive text! The more specific you can be about who you are, and what you do, and how you do it differently, the more likely it is that Google will place you higher, and in the correct category. Sounds simple enough, right? Good, let’s make it a little more complicated. I mentioned that the words within your titles and the body of you web page is what Google uses to determine what category that web page belongs in. What I didn’t mention is that the words in your title are far more important than the words in the body. A title is supposed to tell a reader what an article is about, so Google assumes that your titles are basically quick descriptions of what the body contains. Make sure you use relevant keywords in your titles! So does this mean that the words in the body don’t really matter? They do matter, because for every category on Google, there are a number of subcategories. The more descriptive you can be, the better it will be for you, remember that! Google needs to know more than just a title. Most people don’t read past a headline these days, but Google reads everything! People searching on Google want to get the answers to their questions quickly. Make sure you get right to the point when you’re writing your web pages or blog posts. 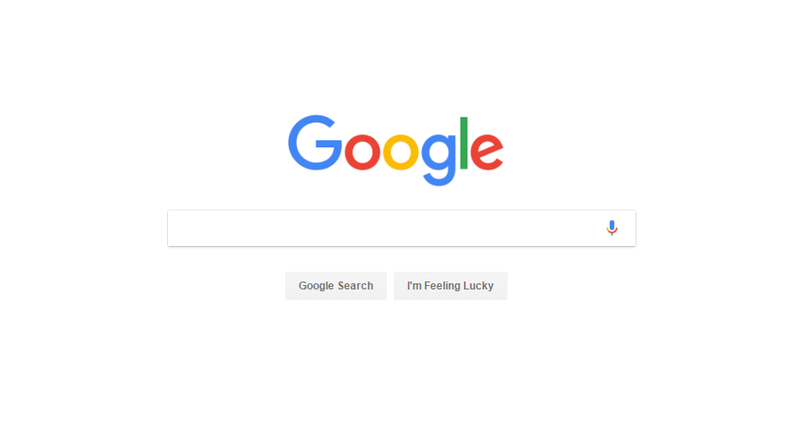 Google assumes you’re doing this already, so the words you have at the top of your page are more important (in Googles eyes) than the words at the bottom of the page. Remember I mentioned titles earlier? Let’s say your article has many titles throughout the article. The titles at the top hold more weight than the titles at the bottom of the page. The paragraphs at the top of the page hold more weight than the paragraphs at the bottom. Everything at the top of the page is valued more highly than the content at the bottom of a page. Also, highlighted words, like bold, italic, underlined, and links (we will talk a lot more about links in Part 2), hold more weight than normal words. Google assumes there is a reason you’re singling these words out. They must be special words that are important to the article and Google will treat them different from normal text. There’s more to the speed equation. Have you ever noticed that every time you search something in Google, it tells you how long it took to gather the millions of results for you (usually less than a second). Google became the giant it is today by providing search results much faster than their competitors, so they take speed extremely seriously. Websites that load faster are ranked higher with Google. They even created a tool to help you speed up your website, so you can rank higher: Page Speed Tool. Go ahead and put your website into that tool, and it will tell you how optimized your site is for speed. If it is not optimized, the tool will suggest ways to improve. The Page Speed Tool is just one of many free tools that Google provides to help you rank your website better. I told you, they really want to put you on the front page, but not if your website is slow and doesn’t provide something that people are searching for. Google announced, a while back, that they no longer look at meta-keywords because the visible words contained within an article do a much better job of describing the content. There has also been a number of people trying to game the system, typically by adding a bunch of keywords that are not relevant, just so they can show up in the search results for popular keywords. So the meta-keywords have become more of a hassle for Google, so they simply don’t look at them anymore. I still add meta-keywords to my websites because Google is not the only search engine out there. There are plenty of other search engines that still use meta-keywords, so its a good idea to include them just in case. Also, don’t try to be clever and add a bunch of irrelevant keywords to game the system, because most crawlers can spot this and you will end up harming your reputation. This also goes for white text on a white background, or words with their visibility-property turned off. Google, along with other search engines, are aware of all of these little tricks and you are just going to end up hurting yourself in the end. I think that about covers the basics of On-Page Search Engine Optimization. If you’re thinking to yourself “Well, I feel like I’m already doing all of that, and I’m still not seeing any traffic from Google”. That’s probably because On-Page SEO really only affects about 20% of how you’re ranked with google. The other ~80% comes from links. If Google ranks everybody by their reputation, then your On-Page SEO is simply what you’re saying about yourself. Just like in real life, this holds very little weight in most peoples eye’s. But let’s say there is another website out there, who is talking about your website, and they have a link on their site that points to your website. We call this a “backlink” because it is a link pointing back to you. The text contained within this backlink, and where this backlink comes from matters.. A LOT! Off-Page Search Engine Optimization is anything that is NOT on your website, but affects your ranking in the search engines. Backlinks are the major contributor here, so that’s why part 2 is named Backlink Profile. If your On-Page SEO is all about what you’re saying about yourself, then your Off-Page SEO is all about what other people are saying about you. And who is saying these things makes the biggest difference. Just like in real life, if someone with a very good reputation says very good things about you, then people are going to look at you in a better light. The same applies in the online world. This is the data Google uses to make its biggest judgments about your website. How exactly is Google adding all of this stuff up? EXACTLY how they do it is a secret Google will never reveal. That’s their special sauce. But there are a few things we know. We know that the links on highly reputable websites hold a lot more weight than the links on a website that was created within the past few days. So for example, if you can get, lets say nytimes.com to put a link to your website, you will get a lot of traffic from nytimes.com, of course, but you will also start to rank higher in Google’s search results for whatever keywords Google thinks are relevant to your website. This is why it is so important to have your On-Page SEO sorted out first. If you don’t have any backlinks, or if you have very few backlinks, Google needs to get that information (which keywords you should rank for) from somewhere. And it will always look at your On-Page information first. If you have all of your On-Page SEO sorted, and someone with a good reputation makes 1 link to your website, that’s all you really need. If your site is capable of generating traffic that did not come from Google’s search, that makes it look like Google is missing out on something that everyone might be searching for. They will automatically start ranking you higher based on the words contained in the backlinks, and your On-Page SEO. So this is what it really boils down to. At this point, you should have realized that there really aren’t any tricks to this. If you do good, honest marketing about you or your product, and you are talking to influential people and companies (which you should be doing anyway) the SEO takes care of itself. Good marketing and public relations is all Google really wants to see anyway. All the updates that Google makes to the search algorithms are put in place to get rid of the spammers. That’s about it. The only thing they hate to see, are people trying to manipulate the system. Google has been at this for a very long time now, which is why any little “trick” you can think of, probably wouldn’t work. Public relations has never been easier. Before the Internet, there was no easy way to get in touch with a company. Now, people are literally having conversations with brands every day. Posting on social media is not difficult. Posting on social media consistently is a little more difficult, and it’s where most people fail. It’s okay if you only want to post once-a-week. But once you set the expectation that you will be posting once-a-week, you better stick to it. You can’t post once-a-week for a month, skip a week, and then go back to posting once-a-week again. The more you do that, the more difficult it will be for anyone to believe you. And you’ll never gain any kind of following if people don’t believe you. Posting more is usually better, but its also a lot more difficult to keep up with! Find a slow schedule that works for you and your brand. It’s better to post less often and be consistent, than to have quick bursts on social media. You want your followers to know that you are a reliable person or brand, and not just somebody that is tweeting whenever they feel like it. Start slow because you can always post more if you decide to later. If you set the expectation that you will be posting a lot, but then you don’t, people will just assume the channel is dead, or worse, unreliable. Start slow and be consistent. Being consistent is far more important than posting a lot. But posting a lot helps too. I wrote this article to educate and to illuminate some fallacies about search engine optimization. There are a lot of companies out there claiming that they can get you on the first page of Google for only $299 a month. For the most part, those are all scams, and it really bothers me that they get away with it. What SEO really comes down to are the basic principles outlined in this article. Make no mistake, there is a lot more to it than just what I have written here, but I hope this guide has given you some insight into how someone really ends up on the first page of Google, and its basically hard work, a good product, honest marketing, consistent public relations, or some combination of these. If you’re looking to start your own eCommerce website, I recommend Shopify. Contact me if you have any questions on getting started!